Dumpster-diving for materials was done out of necessity when sculptor Tom Sachs first started, but now he does it by choice. It's just one way the bricolage specialist turns almost anything into art, avoiding perfection in the process. After all, "the only advantage an artist has over industry is her fingerprints," he says. Tom Sachs will discuss his creative process at the Nelson-Atkins Museum of Art at 6 p.m. on Friday, June 10. A screening of his film 'A Space Program' will follow at 7 p.m. To reserve tickets, visit nelson-atkins.org. For thousands of years, artisans have been making musical instruments out of clay — from whistles and rattles to ocarinas and horns. 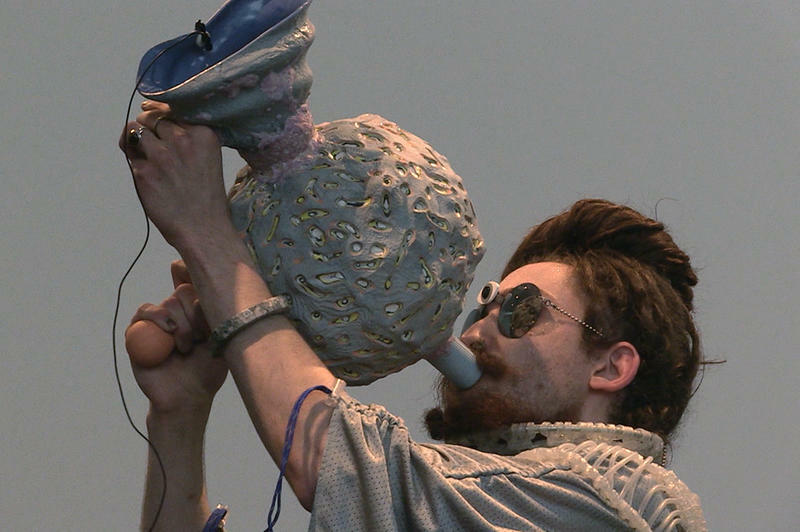 That tradition continues with two Kansas City artists who've turned ceramic vessels into a sonic experience. His name is Otzi, the oldest human in such a complete state. Discovered in 1991 in the Italian Alps, he’s the most studied human in history. We speak with the Kearney, Missouri-based paleo-sculptor who recently completed a replica of Otzi for research and study. KCUR's Central Standard introduced us to Gary Staab in August 2015. Listen to that interview here. The Nelson-Atkins Museum of Art, Kansas City, Missouri. A 16th-century oil-on-wood panel, in the collection of The Nelson-Atkins Museum of Art for decades, is now considered to be the work of Dutch master Hieronymus Bosch. 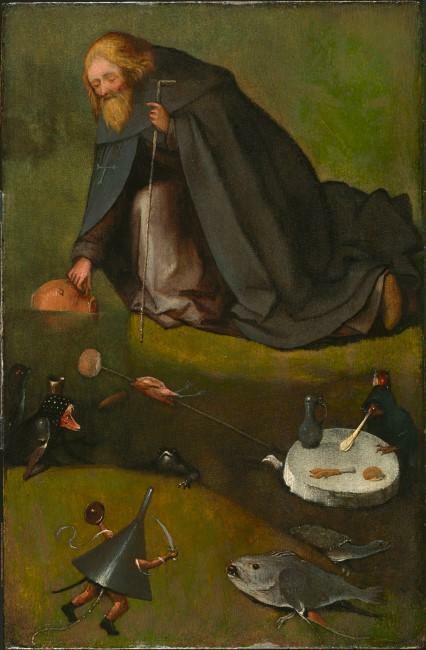 The Temptation of St. Anthony is one of only 25 paintings attributed to Bosch in the world — and only one of five in the United States. "You see the figure of St. Anthony resting on one hand on his staff, that is one of his significant attributes. And with his other hand, he is dipping a big, bulbous jug into the water," described Rima Girnius, associate curator of European painting, on Up to Date. "He's surrounded by a host of various, hybrid creatures, little monsters, that really personify different temptations that he is trying to resist." Steve Kraske caught up with Béla Fleck, who's on tour with the original Flecktones, to talk inspirations and collaborations. When it comes to music Fleck says, "It's just more interesting to explore the edges of things than it is to just sit in the center and do what's already been done." Béla Fleck and the Flecktones perform at 7:30 p.m., June 14, in the Muriel Kauffman Theatre at the Kauffman Center for the Performing Arts.